The new 22M, which includes a U-shaped dinette that converts to a comfortable bed. Each floorplan features a private rear bedroom and cabover bunk for added sleeping flexibility, plus a large rear trunk for your gear. 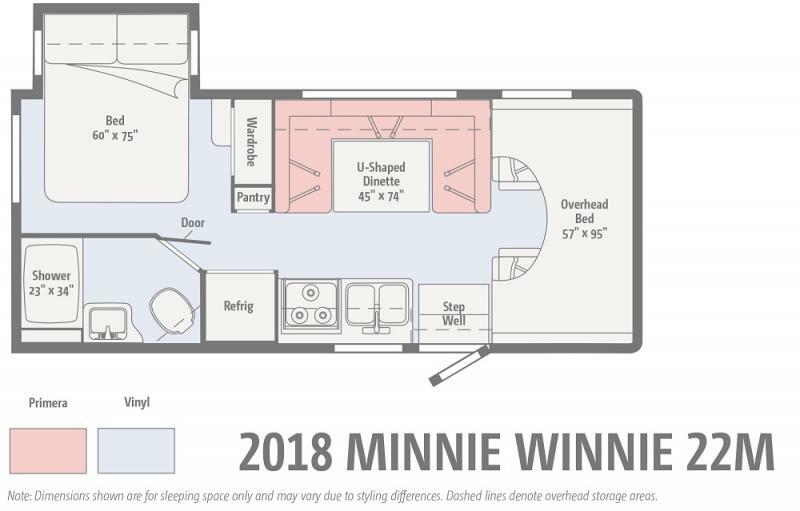 Add in a long list of standard features, a Convenience Package, and Winnebago’s legendary build quality, and you’ll see why the Minnie Winnie is an outstanding value for families of all sizes.